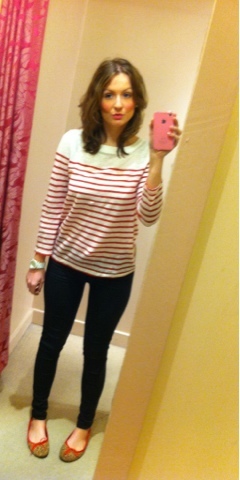 A casual relaxed look with my new linen top, topshop super skinny black jeans (most comfortable jeans ever!!) 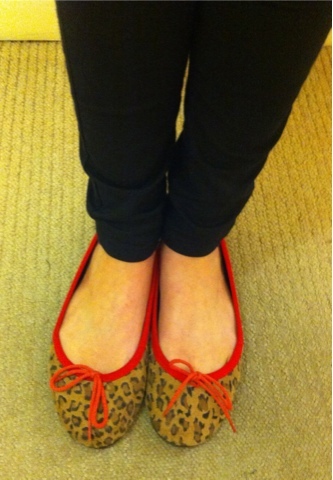 and my leopard print shoes with red trim! And not forgetting my simple accessorie, my Michael Kors watch! I just love simple touches to outfits and this watch does just that! 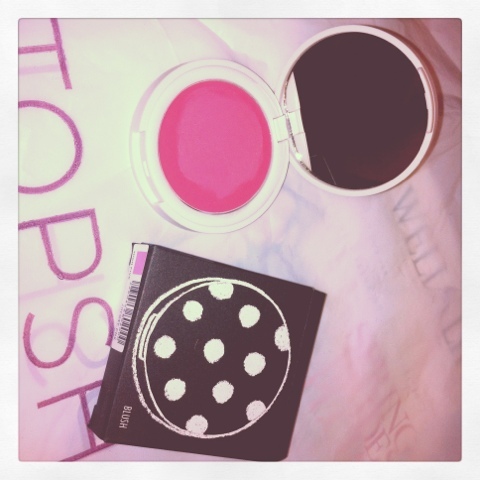 Also Iv been looking for a cream blush everywhereeeee!!! I was tempted to look for a more expensive one but came across this topshop beaut today and had to have it! £6 bargain! Will do a review on this in my next post! nice look ;) classic but cool.. luv it! i LOVE these kinds of tops. i must have about 5 all in similar styles but slightly different fits. although i don't have a red one, i must invest! Love your shoes! This outfit looks comfy but cute. you are adorable! love your top. Beautiful sense of style and very nice blog! Congratulations on your work! Nice photo and really cool outfit, you look great, I like your pants, what a great shape and that top is so nice, the perfect touch to the outfit also you are really beautiful and your flats rock! 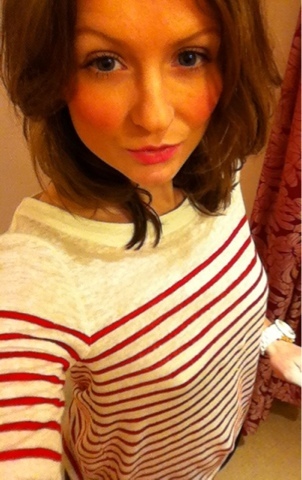 Your have a lovely blog by the way and I am a new follower! Hope you will like my blog and follow back!